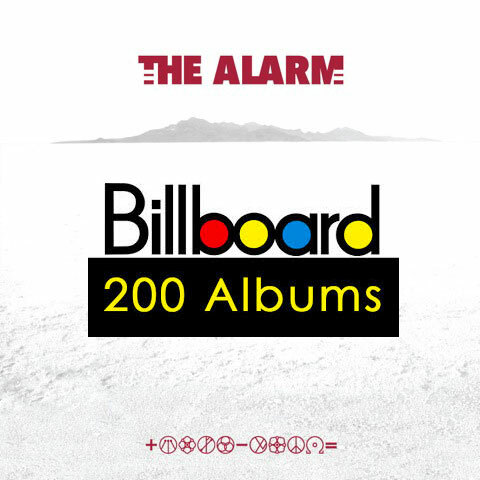 New Alarm album EQUALS has now put The Alarm back into the Top 200 of the Billboard Album Charts in the USA, alongside a number 47 placing on the Independent Album Chart and also a number 36 position on the Alternative Album Chart. A significant achievement, that means this will be the second time this year that The Alarm have featured on the US Billboard Chart with the reissue of Declaration 1984-85 also making it into the Top 200 back in March 2018. Mike Peters and The Alarm will be heading to North America in less than two weeks time, for a massive 27 date tour that kicks off in Minneapolis, MN on July 25th. (see below for full tour and ticket information). The success of new album EQUALS means that the band will be adding dates beyond August and official announcements can be expected anytime soon. See you out there…… most definitely. The Alarm = EQUALS = Back In The Charts!